Representative Ronald Mariano, a Quincy Democrat and the majority leader, spoke about the revisions to the marijuana law on Monday at the State House. 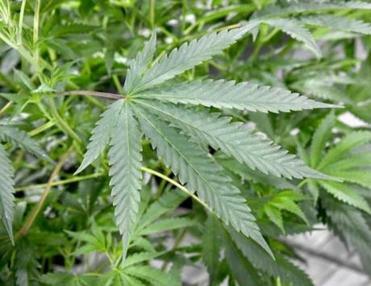 The Massachusetts Legislature is expected to approve a broad overhaul of the voter-approved marijuana legalization law this week after House and Senate negotiators agreed on a bill Monday that would hike marijuana taxes and change how communities can ban local pot shops. But the compromise immediately raised the specter of a serious legal challenge, and the bill drew a rebuke from the top lobbyist for cities and towns who said, should it pass, most municipalities would have trouble implementing the law. The legislation raises the total tax on retail pot purchases to a maximum of 20 percent, up from a maximum of 12 percent that was spelled out in the ballot law. The legislation would also merge oversight of the recreational and medical marijuana industries into a five-person Cannabis Control Commission. And it would maintain the right of adults 21 and older to grow, buy, possess, and use limited quantities of cannabis. Retail sales are expected to start in next July. However, one key provision — which would change how some cities and towns can ban local pot shops, farms, and manufacturers — may raise state constitutional issues and trigger a challenge in court. How would the new marijuana law rewrite affect your town? The revised pot law proposal gives both voters and officials ways to limit marijuana establishments at the local level. The ballot question, approved by Massachusetts voters, gave the right to ban or severely limit recreational marijuana establishments to voters in each municipality. The House-passed version of the overhaul would have given that power to local elected officials instead. The legislative compromise splits the difference: In cities and towns that voted “yes” on legalization last November, it would still require a voter referendum to ban or severely limit marijuana shops. But in cities and towns that voted “no,” local elected officials would get to make those decisions. “Communities that voted ‘no’ — local officials there can pass an ordinance or bylaw limiting the number of marijuana establishments without going to the people, because the people have already spoken,” said Senator William N. Brownsberger, a Belmont Democrat who helped draft the accord. On first glance, legal analysts said the approach could violate the Massachusetts Constitution. And, outside lawyers said, lawmakers may be venturing onto shaky legal ground by basing the new policy on town-by-town results of a statewide referendum. But Legislators insisted that the language is constitutionally kosher, and said it had been vetted by both chambers’ top lawyers. 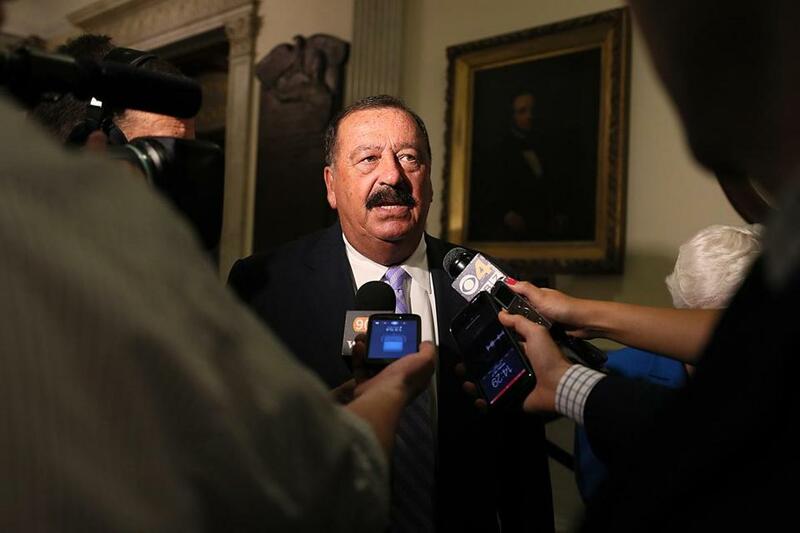 Meanwhile, the powerful Massachusetts Municipal Association, which represents cities and towns, had pressed hard for the House version of the bill that would have put the power to ban pot shops in the hands of local elected officials. Geoff Beckwith, the group’s chief executive and top lobbyist, expressed disappointment with the compromise. “We believe that the conference committee version will be problematic for a large number of communities because the local referendum process is out of synch with the timing of local elections and zoning bylaws,” he said in an e-mail. The measure would increase the state marijuana tax to 10.75 percent, up 7 percentage points from the 3.75 percent in the ballot measure. It also pushes up the optional tax that cities and towns can impose on pot purchases, from 2 percent to 3 percent. With the state’s 6.25 percent sales tax, that means the maximum total tax on marijuana would be 20 percent. The ballot law gave most companies that held provisional and final medical marijuana licenses by the end of last year an advantage in expanding into recreational marijuana. But the compromise bill reduces that industry head start. The legislation would also make major adjustments to the Cannabis Control Commission, the regulatory body that will police and regulate the new industry. While the ballot question set up a three-person commission appointed by Treasurer Deborah B. Goldberg, the bill creates a five-person, full-time commission appointed jointly by the treasurer, Governor Charlie Baker, and Attorney General Maura Healey. The legislation also stiffens some mandates for the commission. For example, it requires that the agency prohibit “the use of bright colors, cartoon characters, and other features designed to appeal to minors” in pot packaging — wording the ballot question lacked. And it insists the commission impose very strict requirements on pot advertising. The Democrat-controlled Legislature is set to weigh in on the marijuana compromise in up-or-down votes this week. The bill cannot be amended during that process. If, as expected, the legislation is sent to Baker on Thursday, he will have 10 days to act. He has been broadly supportive of efforts to adjust the voter-passed law. And, though he ran for office as a no-new-taxes Republican, he has been open to raising the tax rate. Advocates who wrote the measure expressed relief Monday and urged Baker to sign it.